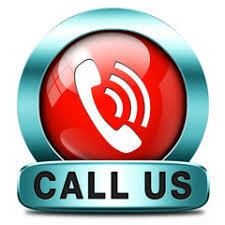 Give us a call at 615-262-9200 to place your carryout order and have your food ready when you arrive. We now offer online ordering for Delivery Please select the link on the menu buttons to be taken to our partner sites. 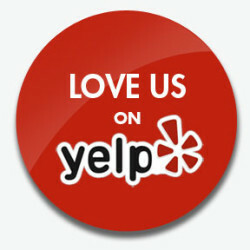 Click the button to like us on Yelp! Thank for Yelping. Ghot Wingz is the brainchild of husband & wife James and Sharonda Stone. It has served Nashville's historic East side for over 10 years providing quality food at an affordable price. We offer the most "flavorz" of any place serving chicken in the Greater Nashville area. Owner and Executive Chef James Stone Jr. has been in the restaurant industry for over 25 years. He was inspired to open his own restaurant with his vision of serving quality foods with mouthwatering flavors. His creative talent in the kitchen along with his persevering ambition has allowed him to do just that. Along with his wife, General Manager Sharonda Stone and son James Stone III, Ghot Wingz restaurant has flourished for over ten years. Outside of his business James Stone Jr. serves as the Church Adjutant to his Bishop Jewell Granberry at Walking in Faith International Worship Center. He is also a proud fan of the Miami Dolphins and New York Knicks. 5 of 5 stars Recently ordered Ghot Wingz for the 1st time and I’m sure glad that I tried this place out. 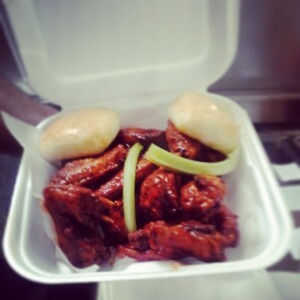 These are the best wings in East Nashville in my opinion. Service was amazing and very timely and would definitely recommend trying this place out the next time you are craving some chicken wings. 5 of 5 stars Fantastic! This is definitely my favorite place to get wings in town. Hands down. Dozens of flavors to choose from. Gold is probably my favorite. The prices are easy on the wallet and they even have specials. The rolls are fresh and amazing! Give ’em a shot, they made me an instant fan on the first visit. 5 of 5 stars So far the best tasting sauces of any wing place and best cooked. Sides are good too.